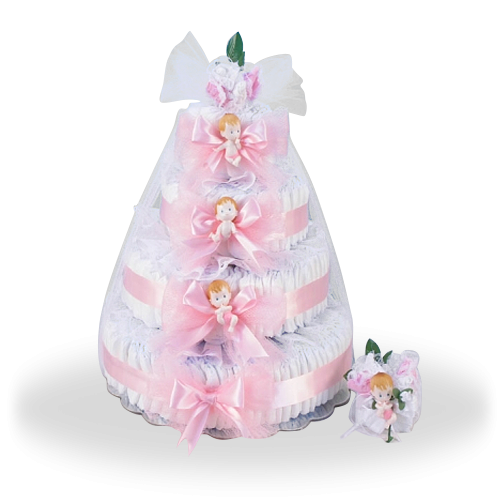 Elegant and special is the best way you can describe the Deluxe Diaper Cake Delight Baby Girl Gift. 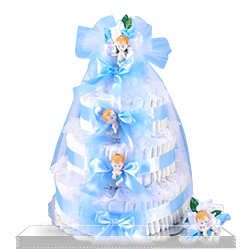 With the abundant use of ribbon and the cutest little cupie dolls give the deluxe cake a visually striking appearance. 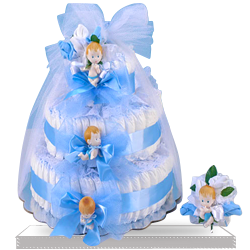 The diaper cake is finished off with a charming sock corsage that is made with two sets of socks for baby, and is removable for the new or hopeful mom to wear. 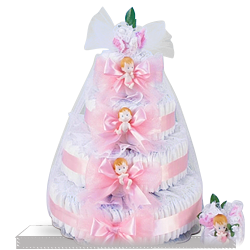 Consider what an awesome baby shower gift this would be. 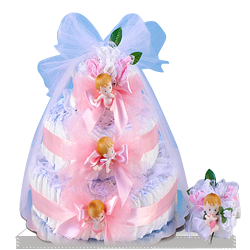 At last, Deluxe Diaper Cake Delight Baby Girl Gift incorporates a lot of diapers, 152 altogether! Always love these gifts have never been disappointed with sending them out. I didn't get to see the delivered gift, but my daughter and her family report that it was nicely put together.